If a picture says one-thousand words, I've got a novel started here. 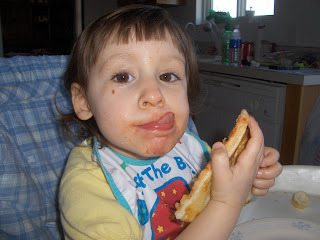 Rebekah, the pizza girl, does not choose to eat pizza in the socially accepted manner. 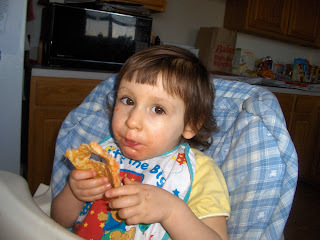 She doesn't even eat it crust first as Pizza Hut advertises to us. 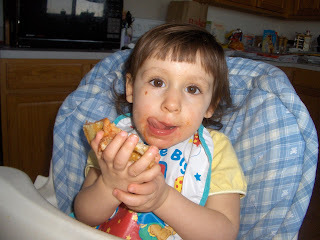 Rebekah chooses to turn the pizza up and down with the toppings facing her. 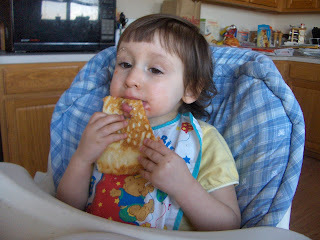 She then eats from the toppings down--thereby creating a giant mess on her face. 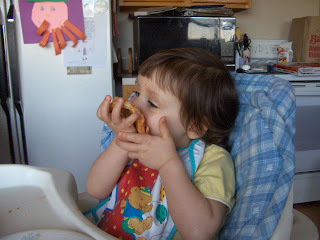 Eventually, she eats a hole straight through the pizza and eventually widens the hole to eat almost the whole thing. 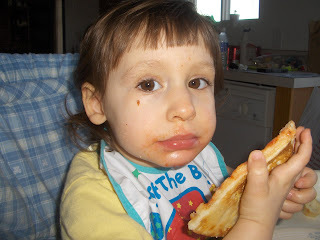 The Beauty Mark under her eye is really pizza sauce. If you click on any of the photos, they will enlarge so you can see the crumbs, sauce, etc. all over her face.